Whoever came up with the idea of brunch, I applaud them! It gives me the excuse to eat both breakfast and lunch at the same time, and much later in the day unlike having breakfast early in the morning. While I like having brunch with friends, every once in a while I also host my own. I don't have tons of cash to spend so I usually host it on a budget and it's much easier than you'd think to do. 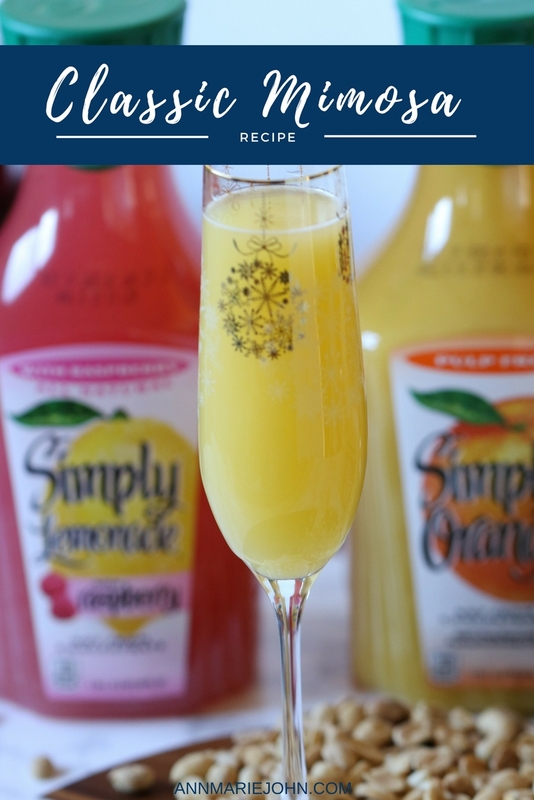 Together with Simply Beverages® I want to share how you can host your own brunch on a budget together with a classic mimosa recipe. After all, what is brunch without a mimosa right? This post is sponsored by SheSpeaks, Inc. and Simply Orange Juice Company. 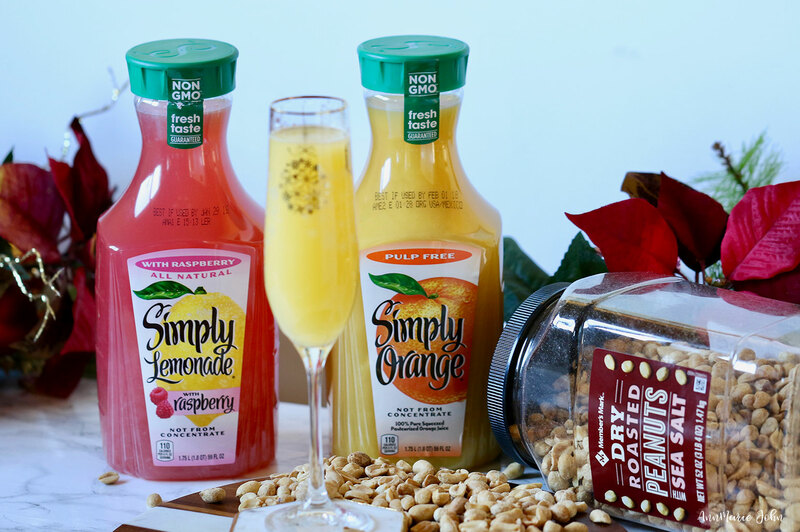 First let me start off by saying that I just love Simply Beverages®, 'simply' because they taste great! 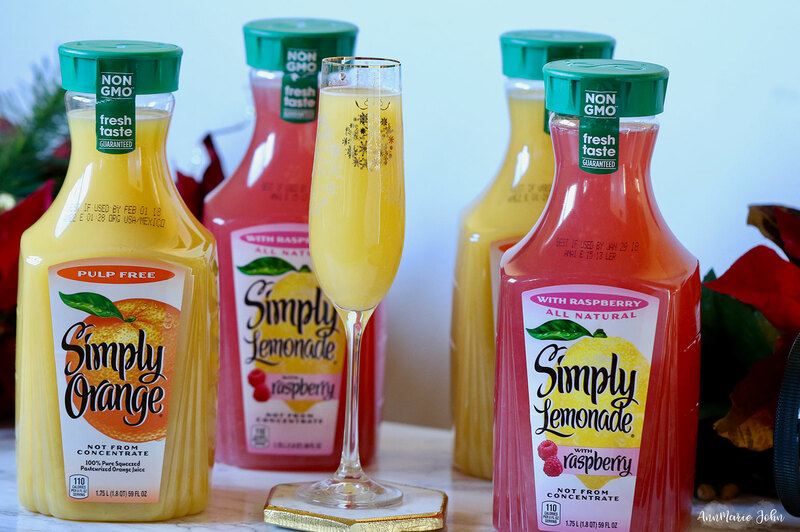 You can almost always find the Simply Orange® or Simply Lemonade® (with raspberry is my favorite) in my refrigerator. My kids love it and it usually doesn't last too long once I purchase it. I tend to pick mine up at Sams Club so I can get more for my money, since it comes in the double packs. When it comes to hosting Sams Club always has me covered as I know that I can find whatever I need in bulk, saving me not only time and money, but also keeping me well stocked as well. When you have a family as big as mine, you need to keep your pantry and refrigerator well stocked. However, I digress, let's get back to brunch hosting. How can you host a brunch effectively, especially when you're on a budget? How else can you save money and not have to do the work entirely on your own? There is really no need to slave around the kitchen and miss out on entertaining with your friends. Invite your guests to bring a dish, whether it be a fruit salad or quiche. Personally I love a really good mimosa and you can't make a mimosa without orange juice. I make sure that I have Simply Orange® available, because even if your guests might not want a mimosa, they may just enjoy a fresh glass of orange juice to go along with that quiche. It isn't a brunch if there's no eggs involved. Scrambled eggs is by far the easiest and most cost efficient to create. Fill your champagne flute with your chilled champagne. Top it off with your Simply Orange® and triple sec. Cheers to a fabulous holiday!